One of my missions in life is to help make this world a better place. My particular brand of ‘medicine’ is to help people get in touch with their innate creative fire so that they may live happier lives. Self love, self awareness and self connection play a big part in the work that I do with people. I think that improving our relationships with ourselves can have a direct positive impact on our relationships with others and with the world. My art work is stylised, innocent, colourful, layered and whimsical in nature. I love avocados, kindness and messy hair. Tamara Laporte (‘willowing’) is a creative catalyst of thousands of beautiful people. She is a celebrated mixed media artist and art teacher who has been running her own creative business since 2008. Her work can be described as ‘mixed media folk art’ with a focus on ‘magical realism’. It ranges from whimsical children’s illustrations to a more stylised fantasy art. 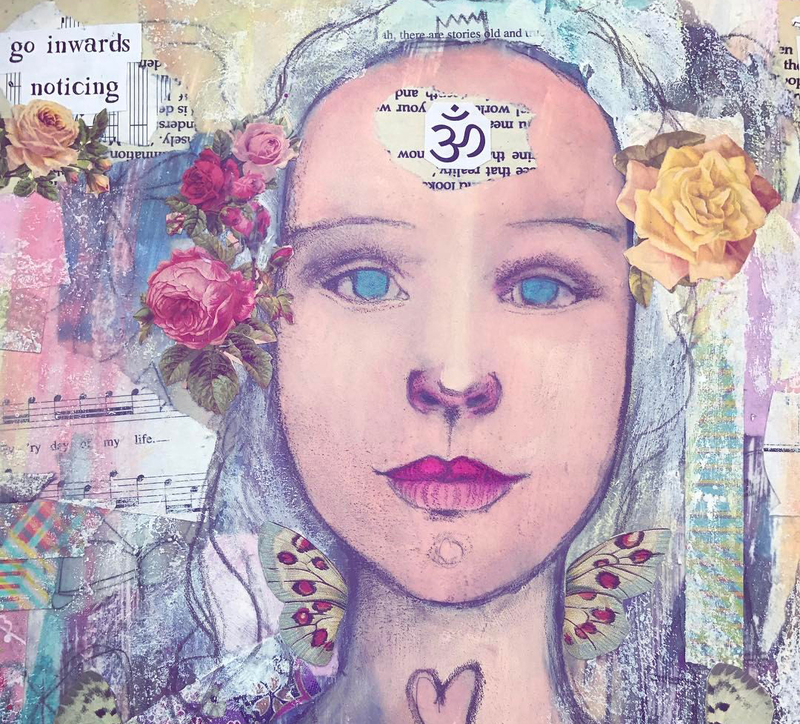 Love, mystery, innocence, hope, spirituality, kindness and self-connection inspires her art work. Symbolism and layering play a big part in her work. 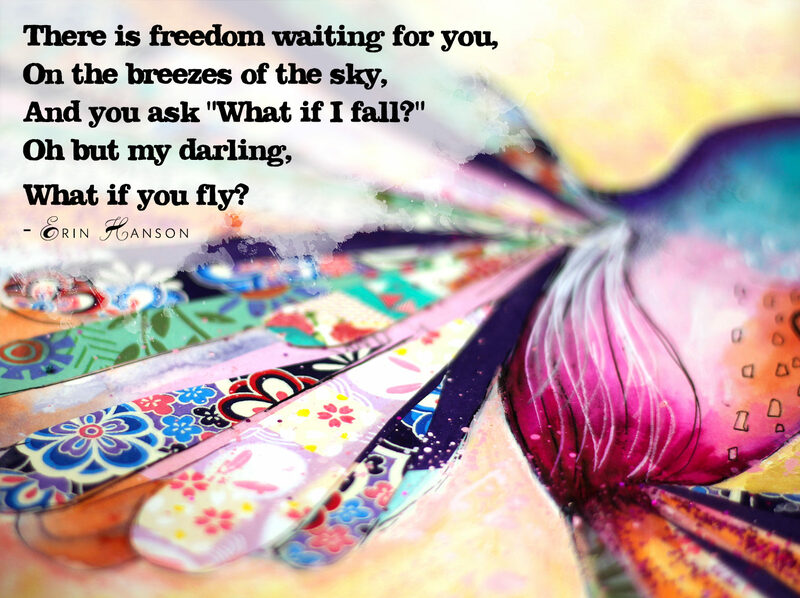 Her paintings often contain healing themes, uplifting messages and inspirational poetry. She believes that the act of creating art can be a gateway into healing and personal growth – often, her art classes contain an element of self development as well as learning art techniques. 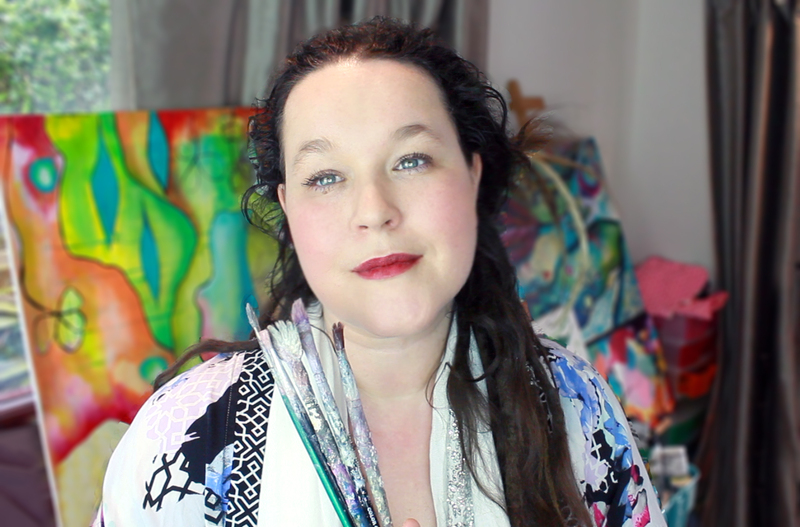 She is deeply devoted to helping people get in touch with their creative fire and would love to help YOU too to get in touch with the artist in you! 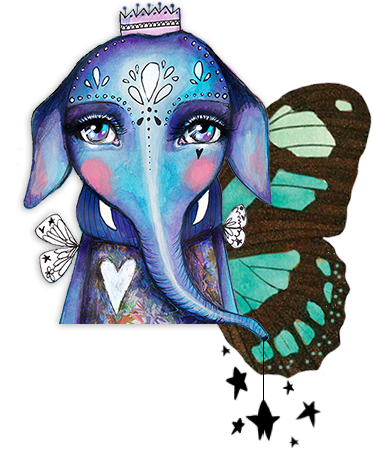 Tam is the inventor and creator of Life Book a year long art course that includes some of the most celebrated mixed media and personal development teachers out there. Since its inception it’s been joined by over 20,500+ people who’ve gained tremendous artistic and personal skills through it. 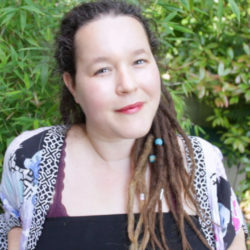 Deeply passionate and caring for the well-being of the world and its people, Tam works tirelessly to bring uplifting, nourishing, creative and empowering content to her amazing tribe of over 43,000+ souls. Her work and articles have been published in several art magazines and books and she’s been interviewed for several online radio stations. 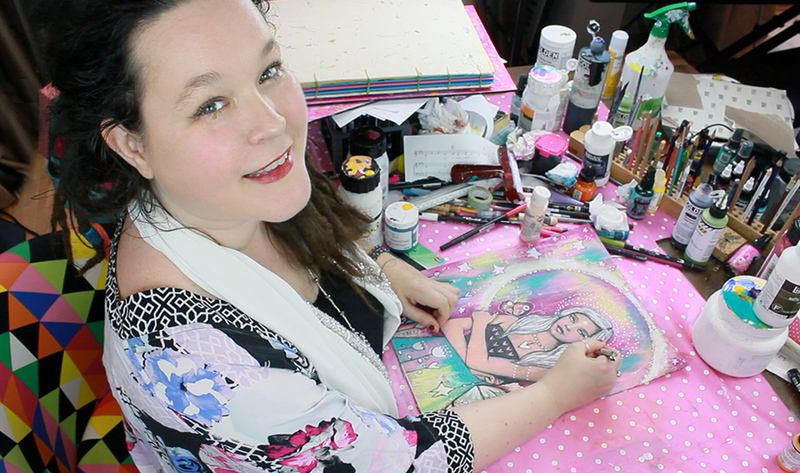 She runs a variety of popular art classes in her online art school (here) which has over 34,000+ members and grows with about 150-200 mixed enthusiasts each month! 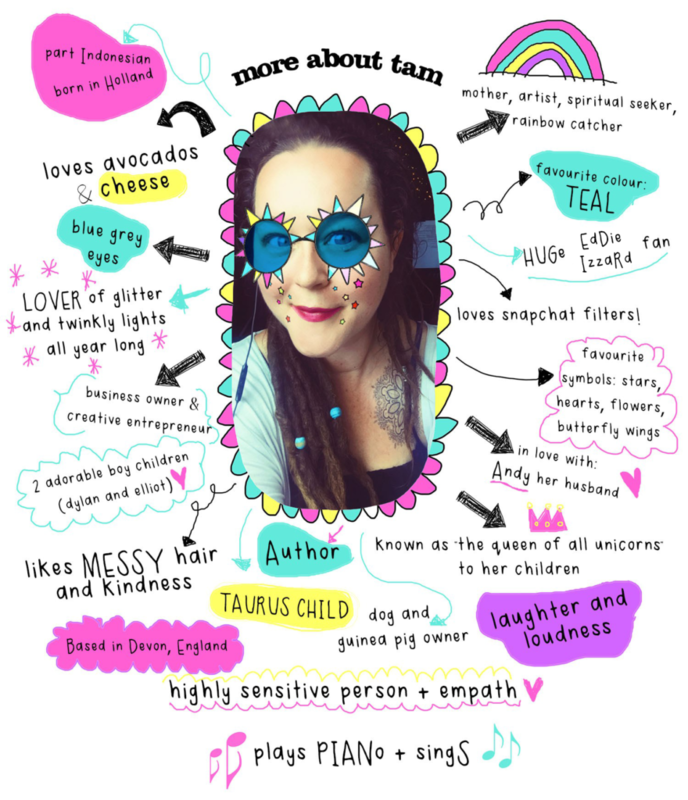 Tam lives and works in the South of England with her handsome husband Andy, two magical boys; Dylan & Elliot, 4 guinea pigs and Gizmo the dog. Her two awesome team members in the studio are the glitter-filled Gracie Howle and the wildly-mesmeric Maddie Turner. To find out more about Tam click here.